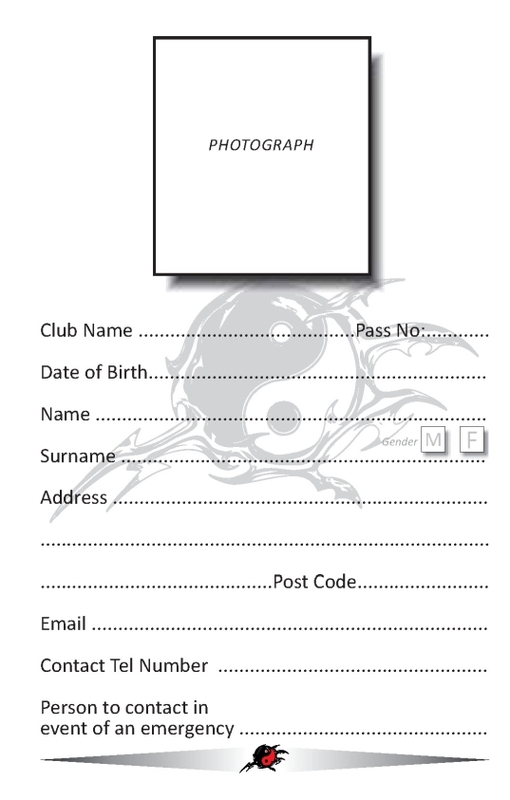 Typical Martial Art grading books contain up to 24pp bespoke custom designed pages with club logo watermark as standard. Many types of binding and printing options, hardback with window, hardback with solid front cover and new soft back version available for every budget, wire stitched or thread sewn content, custom build your book specification to your own budget! Four colour printed paper/laminated case binding also available! Ideal for all clubs and associations from 50 to 1000 books. We have basic page designs to stock ready for your alterations. 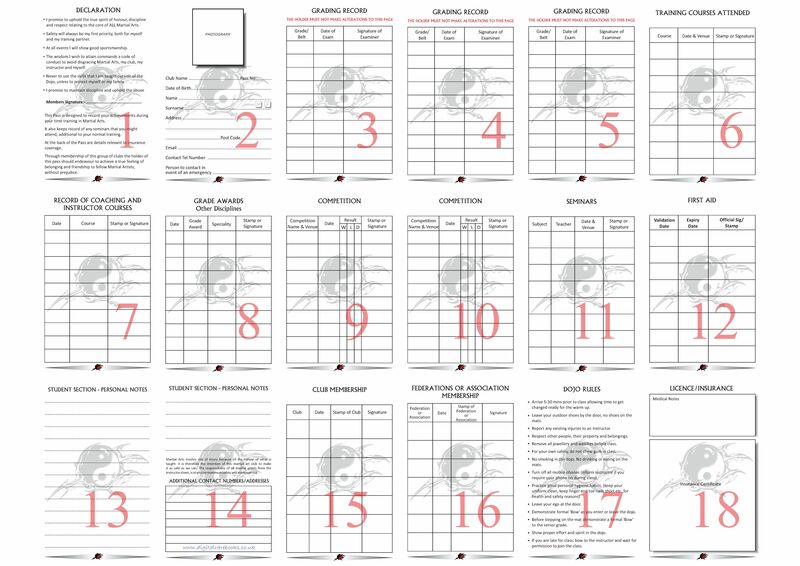 Alternatively send us an existing grading book or digital file and we will do the rest! 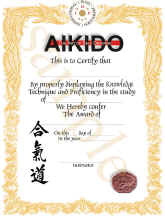 *Free design service and artwork for grading books or certificates. Click Here for sample pages in WORD! Please note the page setup size when designing your own! 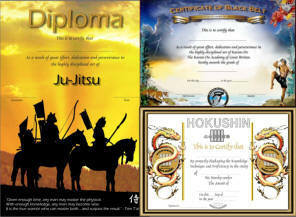 Full four colour certificates A4 or A3 size, free* design service or reproduced from copy or file. Training manuals and instruction booklets. Free Artwork* For all orders 50+ books or certs.